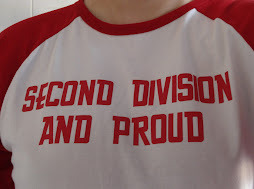 Second Division And Proud: NOT WHAT WE WANTED! Whilst it's great to see Pedro45 and Charlton North Downs sign up to JOIN THE REVOLUTION I have to say this isn't quite what I had in mind! Money or no money (and I'm still staying fairly tight lipped on the subject as my heart and head battle it out) we want an Italian Stallion not a north london gypsy donkey thank you very much! Still today brings even more twists in the middle eastern (i've noticed as predicted that tickets are already more expensive in the middle east stand anyway) saga with west spam entring the fray - what are they going to do? Buy enough English clubs to form their own league?